This entry was posted in News on March 27, 2019 by Junk King. Last updated March 27, 2019 .
has new ownership with local resident Tiffany Bryant. How much garbage do you think your business generates in a single day? Depending upon the type of operation it could be a couple of dozen pounds up to several hundred pounds. Obviously, you will make arrangements for trash removal. Janitorial services could empty out wastebaskets in each office. The commercial space where your office is located probably has their own trash pickup that is provided on a weekly basis. Unfortunately, not everything you need to get rid of in your business can be tossed out into those wastebaskets. For the big business cleanup, you want to bring in help from Junk King Chattanooga. Junk King specializes in all types of rubbish removal for the homeowner and apartment renter. On any given day, the Junk King truck will be loaded with sofas, mattresses, baby furniture, stoles, refrigerator and all manner of household goods. The Junk King is a limiting to just living spaces. They can also do fantastic work at any place of business. Whether your business is in an office space, warehouse, retail store or restaurant you can benefit from a rubbish removal session from Junk King. There could be all kinds of unwanted items stacked up in your company’s storeroom. Maybe you’re even taking up space is in the garage because you run out of room up in the office. You are paying for that storage space to essentially hold onto things that you’re never going to use again. That doesn’t make good business sense. Instead, Junk King can come by and remove all that stuff freeing up the storage areas. How much of a difference will that make around your company? Cost is always a factor whenever you hire an outside vendor. With Junk King, the pricing policy is based upon how much room the things you’re getting rid of will fill on the back of the truck. You know what that estimate is before the work begins and there will be any charges. It is a very fair and competitive approach to this type of removal. 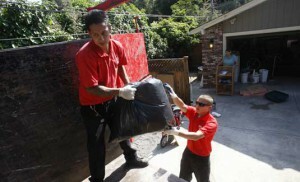 You could also set up regular junk removal sessions with Junk King if you have ongoing needs. Junk King Chattanooga offers the right kind of help for any type of business cleanup. Book a session with them today. This entry was posted in Chattanooga Junk Removal and tagged business cleanup, Junk King, junk removal on February 28, 2019 by Junk King. Last updated February 28, 2019 . We are much closer to the beginning of spring then we are to the middle of winter. In other words, warm, sunny days that can be spent outside aren’t that far away. That means it is time to start thinking about spring cleaning. Maybe you won’t be able to open up the windows and shake out the rugs just quite yet, but you can still get a lot of preparation done for your big spring cleaning project. That should start with a call to Junk King Chattanooga. One session with these junk removal pros will have all the unwanted clutter and rubbish removed from your home. That is the perfect way to start cleaning at any time of the year! What would happen if you were to take a pad of paper into every room and jot down all of the things that you would like to get rid of? Would there be something like big piece of furniture in every room that you’d like to replace? What do be all kinds of clothes in the closet that you could bag up? Are there power tools and auto parts in the garage that are never going to be used again? Those are all the kinds of things that could go on your junk removal list. When Junk King shows up for the appointment you can turn the list over to the two-man moving team and step back. They’ll clear out all of that stuff in no time at all. The work provided by Junk King is extremely affordable especially when you compare it to pricing it out as a DIY job. You would have to go hire your own movers, rent your own truck and devote hours of your day off to the task. That can be a very expensive proposition. Junk King only charges a flat fee that’s based on how much room your stuff will take up on the back of the truck. The crew will know how to pack up the truck using as little space as possible and that means you’ll pay the low end of the rate every time. You can set up your appointment with Junk King online or over the phone. In either scenario you are sure to have a prompt response. Junk King knows that once you’ve made up your mind to get rid of your stuff you don’t want to wait around and they certainly don’t want to keep you waiting. This year, get a jump on spring cleaning with the rubbish hauling session from Junk King Chattanooga. Everything after that will be easy to clean! This entry was posted in Chattanooga Junk Removal and tagged Junk King, junk removal, spring cleaning on February 23, 2019 by Junk King. Last updated February 23, 2019 . Anytime someone is put in charge of an estate it doesn’t really come as a surprise. But that doesn’t mean there isn’t a lot of work that has to be done. The biggest decision to make is whether to sell the home or keep it in the family. Regardless of what happens with the home there will probably be some level of an estate clean up required. This means clearing out a lot of old furniture, clothing, appliances and other household goods. Just how much of that stuff has to be cleared out will be entirely up to the executor of the estate. One thing is for sure; Junk King Chattanooga can make that estate cleanup happen without any stress. When setting up your appointment with Junk King you want to let them know that you’re asking for help with an estate cleanup. Typically, that might mean having additional clues and trucks at your disposal for the task. It all depends on how much of getting rid of. If you can visualize how many standard pickup trucks could be filled with all the stuff you getting rid of then try to imagine that six of those trucks would fit on to the back of one Junk King truck. Is that how much you would be dealing with? Then one truck is all you need. However, if you need those additional trucks, you’ll get them without any additional charge. Regardless of the size of the job you always be paid a flat rate by Junk King and that rate is based upon how the truck gets packed up. When the crew packs up everything into a little space, then you be paying the low-end of the price scale. It’s not complicated and it’s something that you know before the work begins. The moment you decided which items you want you can set up your appointment with Junk King. The majority of Junk King sessions are completed within 24 hours that first contact. However, if it works better for you to have your estate cleanup take care of one weekend, then Junk King can certainly make that happen. You don’t need to stress out over an estate cleanup as long as Junk King Chattanooga is helping you out. Book a session today. This entry was posted in Chattanooga Junk Removal and tagged estate cleanup, Junk King, junk removal, rubbish on January 30, 2019 by Junk King. Last updated January 30, 2019 . Property managers already have a lot to deal with. They are the go-betweens for the property owner and the tenants. This means they have to collect the rent on time and field any complaints. Property Managers also have to deal with the actual property maintenance. This doesn’t mean they are the ones going out to an apartment at midnight to fix a leaky faucet or doing the painting when the tenant moves out. They will delegate those tasks to capable professionals on behalf of the owners. As for cleanup from apartments, townhomes, houses and commercial spaces, property managers can always count on a fast response from Junk King Chattanooga. Just how fast is that response? If you set up your appointment online after hours, then you can count on getting a prompt response when the business opens up first thing in the morning. Even though you selected a possible date for your pickup, you might be offered a chance to have your items pickup on the same day as that confirmation phone call. That just means you need to know exactly what you want gone. When it comes to cleaning out the stuff left behind by tenants, that is easy: Everything goes! Property managers have to be fiscally responsible. After all, the costs for any maintenance or upkeep will ultimately be that of the owner. Those owners trust the property managers to get the best service at the best costs. With Junk King, those costs are based on how the truck will be filled up. The less space, the lower the costs. The challenge for the Junk King crews is to pack up everything into as little space as possible. They want this to happen so they can make additional pickups. They also want to keep their customers happy, especially the property managers who can become repeat customers. All of this means that Junk King will always make a fair deal for their services. It should also be noted that Junk King operates with an environmentally friendly disposal policy. They want to divert as much as they can of what they collect away from local landfills. Everyone should appreciate that effort! For fast and dependable rubbish clearing, property managers and homeowners can always count on Junk King Chattanooga to get the job done. This entry was posted in Chattanooga Junk Removal and tagged Junk King, junk removal, property managers, rubbish on January 23, 2019 by Junk King. Last updated January 23, 2019 . Once you see how fast, efficient and affordable Junk King is with junk hauling it’s a safe bet you’ll be using them again and again. Junk King prides itself on the quality of workers they hire. They want everyone to have a positive attitude even though the actual work can be at times strenuous. Having pleasant workers makes the job go a lot smoother. If you had to price out this kind of work as a DIY task, then you could end up spending two or three times more than what Junk King will charge. Getting rid of all the rubbish around your property doesn’t have to be complicated when you put Junk King Chattanooga on the job from the start. This entry was posted in Chattanooga Junk Removal and tagged customers, Junk King, junk removal, reviews on December 29, 2018 by Junk King. Last updated December 29, 2018 . How good where you at sticking to last New Year’s Eve resolutions? Do you even remember what they were? It is always good to start out the new year with goals. It is even better if those goals are obtainable. Yes, it would be nice to win the lottery in 2019 but that’s not something you have any control over. What you do have control over is how much clutter is in your home. You could start the new year with a junk free home with a little help from Junk King Chattanooga. That would be a great resolution to make! 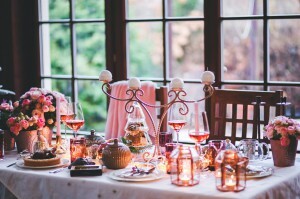 Putting aside food, could you guess how many “new” items came into your home in the past year? Maybe these were a lot of little things like clothing, shoes, books and toys. But they could’ve also been some bigger items like furniture and major kitchen appliances. In a way, everything that comes into house pushes out something else. Unfortunately, that “pushing out” doesn’t happen literally. In other words, the old things just get moved around. Some end of down the basement and some out in the garage. This probably also a lot of things that have been crammed into a bedroom closet. This can create the sense that you have quickly run out of storage space. Getting rid of all that old stuff is what Junk King is all about. Once they worked their magic throughout the house you can have all kinds of new storage space opened up. Whether you feel that are not is entirely up to you but at least you have the option. The Junk King crews are great workers. Not only are they skilled at the task at hand but there also extremely friendly and go above and beyond to help solve any challenges you might have getting rid of some of these items. It might seem like a challenge to bring down a bedroom set from upstairs or an old washer from down the basement but it won’t be a challenge to Junk King. You’re going to like how quickly they can remove all kinds of items from the home regardless of size or weight. 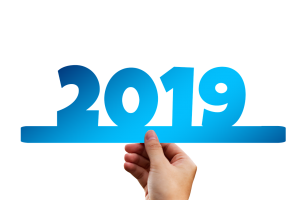 If you want to start your new year in a home free of junk, then you want to start by calling Junk King Chattanooga today. This entry was posted in Chattanooga Junk Removal and tagged Junk King, junk removal, New Year's resolution on December 23, 2018 by Junk King. Last updated December 23, 2018 . 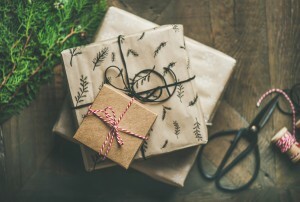 The holidays are all about tradition and each family has their own “holiday rules.” For instance, some families allow the opening of a single gift on Christmas Eve. And larger families, they might adopt the game of secret Santa for all their gift giving. There are also traditional dinners served up at this time of year like the feast of the seven fishes. Every year there’s an opportunity to start a new a new tradition. That could include taking a tour of houses in the neighborhood that have been decorated for Christmas or hosting an open house party. Before you get your home ready for the holidays, maybe you can start a new tradition of “no junk in the house.” That is easily handled with one session from Junk King Chattanooga. You certainly don’t want to put up some nice decorations that would draw attention to an old recliner that’s been patched up with duct tape. And you don’t want to invite people over when you’ve got old appliances on the back porch. This is why you need a junking session. One appointment is all would take to get rid of those bulky items. You’ll be assigned to two-man moving crew who is going to roll up in a truck big enough to hold whatever you throwing out. Consider the difference it can make when you’ve got those big things gone from your house. Getting rid of a lot of little things can also be a huge benefit. Aren’t you exhausted by all the clutter you have crammed in your closets. It makes finding outfits and coats and adventure! They could also be plenty of old toys, gaming consoles, computers, laptops and televisions that are scattered around the house not be used. All of that should be gathered up and turned over to Junk King. When you have Junk King haul away your stuff it won’t automatically make a direct line to a landfill. Instead, some of your old furniture and other household goods could end up at a charity thrift store. That would be especially helpful at this time of the year. That’s one holiday tradition we can all get behind! When Junk King Chattanooga does a sweep through your home it will be junk free for the holiday. That’s worth celebrating! This entry was posted in Chattanooga Junk Removal and tagged holiday, Junk King, junk removal on November 30, 2018 by Junk King. Last updated November 30, 2018 .
Who is the most challenging person on your holiday shopping list? There is usually someone who is hard to shop for because they either have everything they need or they simply don’t offer up any hints as to what they want. Still, you’ll try your hardest to get a smile out of them on Christmas morning! One unique gift you might want to consider is a session with Junk King Chattanooga. That might not be something you can put a bow on but it will certainly be appreciated for many months after the holidays. Junk King offers a wide variety of rubbish removal services. The most fundamental services involve removing bulky pieces of furniture or big kitchen appliances. That’s the kind of work that can only be accomplished by two movers who have a big enough truck to hold those kinds of objects. That is exactly what Junk King will send over to the home of your loved one as part of your special gift. In a single session, the Junk King movers can haul away all kinds of unwanted items that are cluttering up home. it doesn’t matter if those things are down the basement or up on the second floor. The only focus for Junk King is to get those things hauled away as quickly and efficiently as possible. The team from Junk King can also help with the removal of a lot of little items. This can be a big benefit for clearing clutter out of closets or the garage. All that is required here is that there is a little presorting done before the Junk King crews show up. That will be time well spent if in exchange you get back a lot of valuable storage space. The Junk King crews can also help clean up debris around the backyard. If there are any rusty patio furniture pieces, old barbecue grills or even a rider lawnmower that needs to be tossed out, then it can all be given to Junk King. When you give the gift of a junk removal session from Junk King Chattanooga is someone special you can bet it’s going to be very appreciated. Book that session today. This entry was posted in Chattanooga Junk Removal and tagged gift, Junk King, junk removal on November 23, 2018 by Junk King. Last updated November 23, 2018 .